Dr. Nicholas J. Terse received his bachelor’s degree from Miami University and his Doctorate of Dental Surgery (D.D.S.) from The Ohio State University College of Dentistry in 2001. Dr. Terse then completed a one year general practice residency (GPR) and postgraduate training at the Illinois Masonic Medical Center in Chicago. During his residency, he furthered his education in the medical side of dentistry as well as the most current practical and technical dental techniques.Staying at the forefront of his field has always been a high priority for Dr. Terse. He frequently attends continuing education courses, workshops, and seminars to stay abreast of the latest advances in dentistry. Because we pride ourselves in providing the best possible care for our patients, Dr. Terse averages over 100 hours of continuing education every 2 years, (the state of Ohio requirement is 40 hours). This allows Dr. Terse to stay current with the latest advances in dentistry. Dr. Terse’s leadership and commitment to dentistry is evident through his memberships in the American Dental Association, the Ohio Dental Association, the Columbus Dental Society, and the prestigious Spear Education Study Club. With a passion for continuing education and commitment to quality dentistry, Dr. Terse has learned what makes patients most comfortable and satisfied with their treatments. This experience, combined with his technical education, has allowed Dr. Terse to establish his practice on the solid principles of compassionate, comprehensive dental care. Dr. 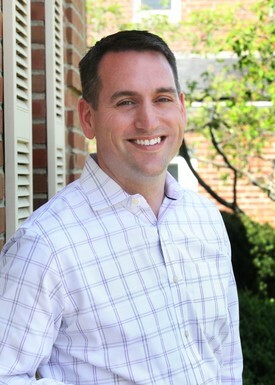 Terse has been named one of Columbus’ Top Dentists by Columbus Monthly by his peers for the past 5 years. He has volunteered his time and skill with Christina’s Smile and Give Kids a Smile. His passion for his work motivates him to improve his skills through constant continuing education and extra training in new and innovative dental procedures. Dr. Terse and his wife, Mary Kay, have three daughters. When not practicing dentistry, Dr. Terse loves spending time with his family, coaching his daughters’ soccer team, golfing, cooking, and traveling.